Spring is here and with it comes a new set of adventures. From snow to rain and then sunshine, we can see it all in a single day in the Colorado Mountains. I’ve been testing the Outdoor Research Skyward Jacket for the past five months and I’ve abused it in every condition I can think of. That testing turned out to be more fun than I had imagined and as a result, I have at least double the days on backcountry skis over riding lifts at the resort. Outdoor Research’s Standard Fit is a good on for the Skyward Jacket. It provides just enough room so as to not bind up when I’m skiing both up and down but it’s not too baggy either. AscentShell™ makes up the jacket fabric making this hard shell feel more like a soft shell, but providing complete waterproofness. On warm days when I found myself sweating I was amazed by how quickly it vented that perspiration so I was completely dry by the time I headed back downhill. The range of testing conditions I mention in the video vary from -8°F with 30+ mph winds to 35°F, calm and sunny. The Skyward performed better than any other jacket I’ve ever tested. I actually meant to grab the Whiteroom jacket on that cold day but I forgot until I stepped out of the truck into that cold morning. I was worried but after a stellar performance by the Skyward I wouldn’t hesitate to do it again. 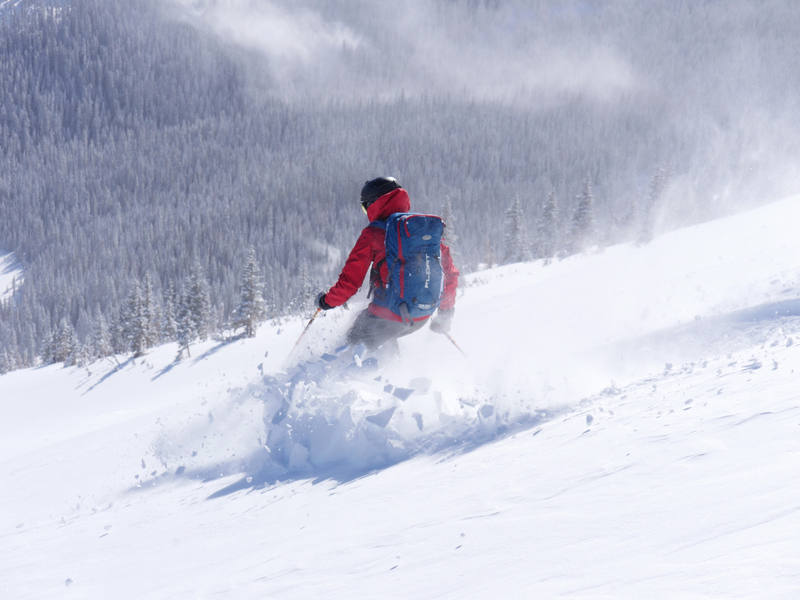 The Outdoor Research Skyward Jacket is truly an all-around jacket for the backcountry.